With our art, we strive to create not just cool designs for wall space, but a beautiful way to make memories. We want you to look at our designs and step into that nostalgic reality. We love seeing our art presented in different ways. One particular way that has caught our attention, this year especially, has been weddings. Over the past few years, we’ve been requested (quite often!) to have our postcards at weddings. Whether they’ve been used as a theme, guestbook alternative, or table settings we’ve had the honor to be a part of people’s big days in a small but significant way. National Parks have been the most popular choice. 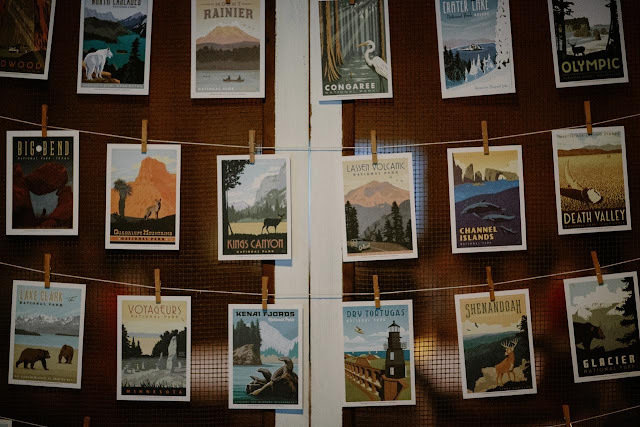 With this year being the 100th Anniversary of the National Parks Service, adventure-seekers are making their way around America. It’s been quite a year for us with the Parks and we’ve been overwhelmed with gratitude for people coming in our store telling stories, emailing appreciation, and now having us be a part of their wedding days. 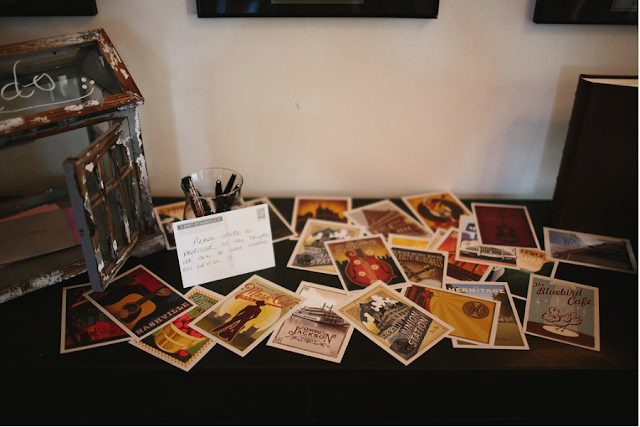 While we don't design save the dates or invitations, we do sell our postcards in bulk. With the options of variety or all of the same design, we do suggest taking them to a printer so you can choose the colors/fonts for your special day.